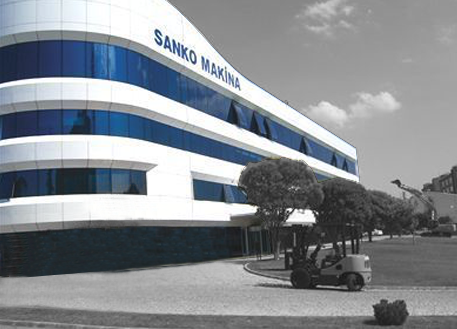 Sanko Machinery Marketing and Trade Corp., Sanko Holding's corporation operating in the machinery sector, was founded in July 1999 in Istanbul with an experienced and expert team. In Sanko Machinery Marketing and Trade Corp.’s product range, there are Doosan branded diesel, LPG and electric forklifts and MST branded stackers. 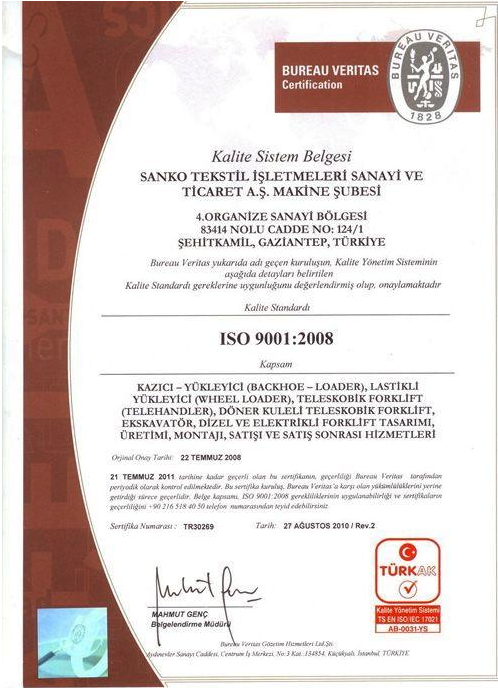 Sanko Machinery sold the highest number of forklifts in Turkey between 2004-2007 with Doosan (Daewoo) brand. In the advanced technology, all our machines must be supported with high quality and on-time services to be able operate with improved performance and safe as day one. 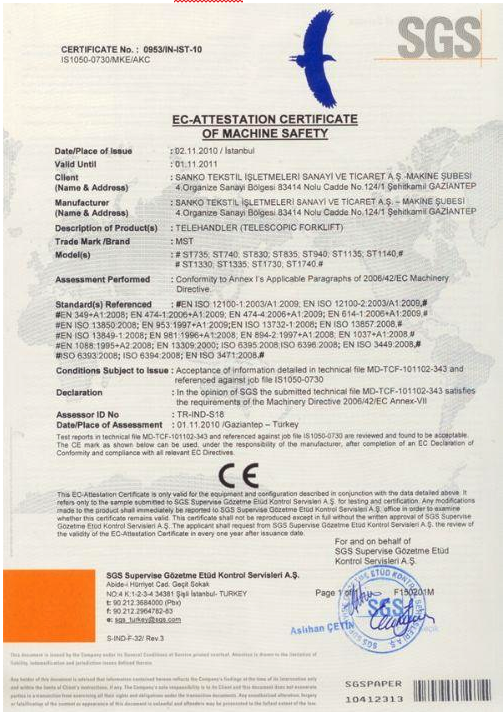 For that reason, Sanko Machinery Marketing and Trade Corp. stands behind all the products it sells by offering quality service to clients thanks to the service network operating throughout Turkey with high rate of availability of spare parts. Sanko Machinery responds the needs of all companies that do lifting and stacking with great advantages that it offers to clients, as well as with high stock volume and wide product range. 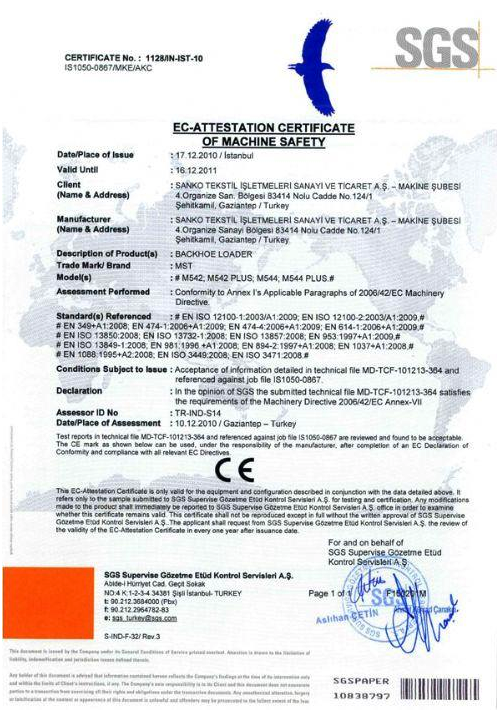 In 1999, distributorship agreement was made with Daewoo forklift company. In 2000, -S3 series forklifts were introduced in the place of –S2 models. After 2005, Daewoo brand was sold to Doosan. From that year on, forklifts come to Turkey under Doosan Brand. In 2007, -PRO5 series forklifts were introduced in the place of –S3 models. In 2007, the sales of GX series 2.0-3.0 tones forklifts started. Between 2002-2006, we were awarded 4 times by Daewoo with the most-selling distributor award. Between 2007-2016, we were awarded 6 times by Doosan with the most-selling distributor award. In 2016, PRO7 series forklifts were introduced in the place of PRO5 series. Our vision as a leader company with our product and service quality is to support national economy with employment. By diversifying our product groups in accordance with the demands of target markets, we aim to provide innovative solutions to our business partners while being deeply loyal to humanity, environment and universal values. We are a young and dynamic team that pushes the limits, creates a difference and adopts quality as a way of life. We see education as an investment to our future; so we are generous about it. We respect the environment; we know that we borrowed it from our children. WE ARE SANKO MACHINE FAMILY who protects our traditions and takes them to future, who believes honesty is essential, and who keeps rowing when the wind stops. We see the power and the success in teamwork. If you believe ideas should turn into actions, then join us! We design, produce and present business machines that are superior to our competitors for our customers and that will meet expectations at the highest level during the lifetime of the machine. With the application of this policy, Sanko Machinery Marketing and Trade Corp. Executives undertake to fulfill the following basic principles necessary for the protection of information assets in terms of Confidentiality, Integrity and Accessibility, and for the maintenance of its continuity and sustainability with Information Security Management System, which is a necessity to achieve the aims of “Increasing market share by offering quality and advantageous work machines with customer oriented working understanding, and Becoming an International Brand in the Sector of Machines”. Our information security management system will meet the standards and requirements. The confidentiality of any information generated and/or used, regardless of whether it is corporate and personal information or Third Parties, will be guaranteed in all cases. 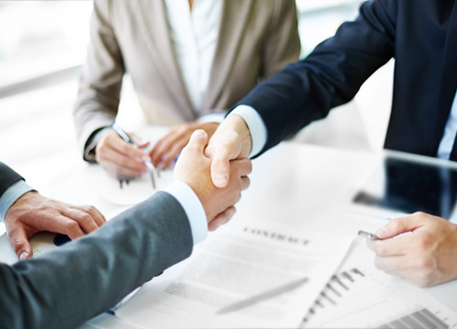 The Republic of Turkey's laws, regulations, circulars, client contracts, and requirments defined by legal regulations required by the business will be met, and compatible work will be provided. Intentional or unintentional unauthorized use, alteration, disclosure, and damages of all information assets shall be avoided within the scope. By assessing the risks on information assets, it will be ensured that the identified risks are reduced to acceptable levels. Trainings that will increase staff awareness of information security and encourage contribution to the functioning of the system will be regularly provided to the employees of the company, new recruits and, where relevant, supplier employees. All actual or suspected violations of information security will be reported and preventive measures will be taken. Providing business continuity will ensure continuous access to information and use of information in an efficient, accurate, speedy and secure manner with regard to access authorities. The necessary resources will be provided for the implementation, maintenance and improvement of the Information Security Management System.